Physician and religious poet of the thirteenth century. Zunz mentions three metrical "baḳḳashahs" (supplications) written by him. 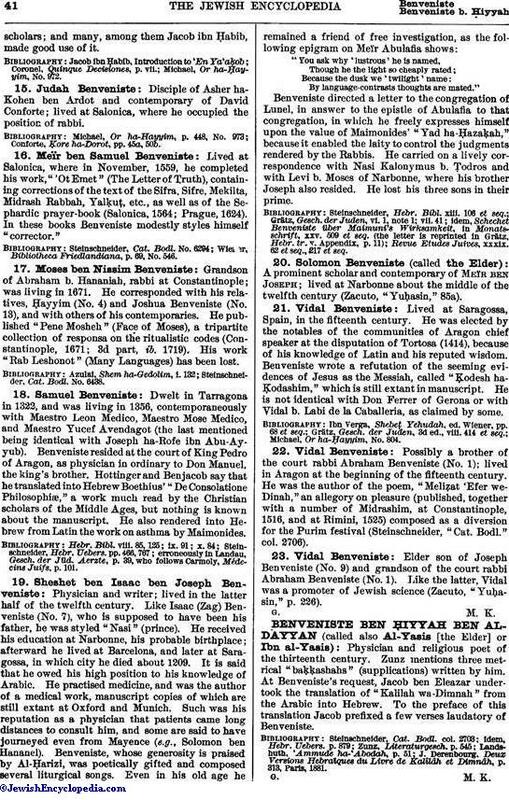 At Benveniste's request, Jacob ben Eleazar under-took the translation of "Kalilah wa-Dimnah" from the Arabic into Hebrew. To the preface of this translation Jacob prefixed a few verses laudatory of Benveniste. J. Derenbourg, Deux Versions Hebraïques du Livre de Kalîlâh et Dimnâh, p. 313, Paris, 1881.